If you search on the Internet, you will find various types of pillow to help relieve pain and deal with various skeletal-muscular issues when sleeping. It’s a case of identifying the correct type of pillow for sleeping that fits your needs, and an elevated leg rest pillow could be the answer. The Elevating Leg Rest Pillow from Hermell Product Inc., is a top-quality choice, and a knee pillow that works to elevate the legs up off the bed. This type of pillow is ideal to improve circulation in the legs, reduce pressure, and relieve pain associated with swelling, varicose veins or phlebitis. It can also align the user’s spine and relieve lower back pain. Lightweight at just 2.2 lb. 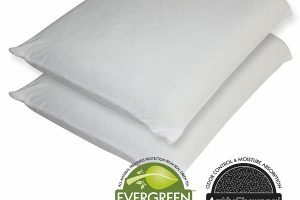 Back sleepers will find great relief by using this product, because unlike knee support pillows, this elevating leg pillow is mainly designed to raise the legs off the bed, which comes with a whole host of health-related benefits. 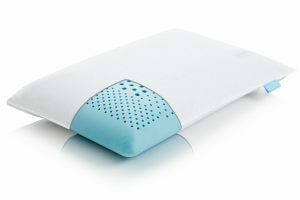 While this pillow isn’t suitable for pregnant woman, as many other support pillows are, anyone who suffers from back pain, lower back pain, circulation issues, varicose veins, coccyx pain, etc., will find that sleeping with their legs elevated is a great relief, and the support this pillow gives allows you to achieve relief without using piles of pillows, which can slip and need realignment. The Elevating Leg Rest from Hermell Products Inc. is a great product if you need support for your lower back, without wanting to put pressure on any other part of your body. The zero-gravity design means that your legs are literally “floating,” and your upper back and shoulders won’t feel the strain, thanks to the fact the pillow pushes your spine back towards its natural curvature. 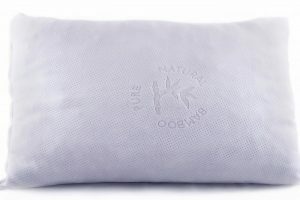 Using a regular knee pillow will give you support for your back and ensure that your hips, knees, and spine are in the correct, however most types of support pillows are designed to be placed between the knees and are therefore ideal for side sleepers. The Elevating Leg Rest pillow is to be used while lying on your back. 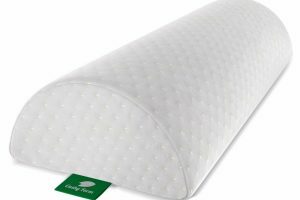 The zero-gravity design of this pillow means that you will receive relief from lower back and coccyx pain very easily, as well as helping with alignment of the spine and boosting circulation. 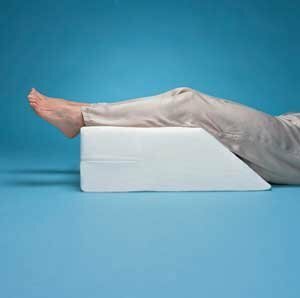 The leg support pillow provides a good pelvic tilt, which is ideal for comfort and avoiding chronic pain. In terms of position, you simply lay back and rest your legs on the elevated cushion; we know that keeping your ankles and feet above heart level is a great health booster, especially if you have any issues with varicose veins or circulation in the first place. 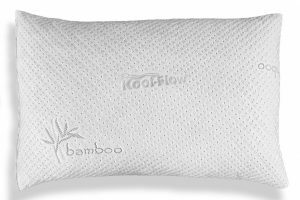 The pillow overall weights 2.2lb., and this is very lightweight, however not as lightweight as other pillows, such as those which are designed to fit between the knees. If you need this particular type of leg elevation and support, this is one of the lightest pillows of its type on the market. The outer case is made of a polyester and cotton mix, which is removable and machine washable. Hermell Products Inc. are a well-known brand, and that means you can rest assured when making your decision. Overall, this elevating leg rest pillow is fantastic for many different types of ailments, while also being a very comfortable way to rest—you could even mix it up and use it while you’re watching TV, simply to gain comfort! If you use this elevating leg rest, there’s no denying that this is a durable, and top-quality elevating leg pillow, and many reviews have reiterated this point.